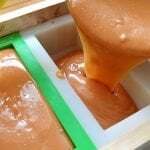 It’s always a good idea to begin with a tried and tested recipe when you start making your own handmade soap. Whether you’re hoping to make it for yourself, as gifts, or to start a business, a recipe will help you succeed. 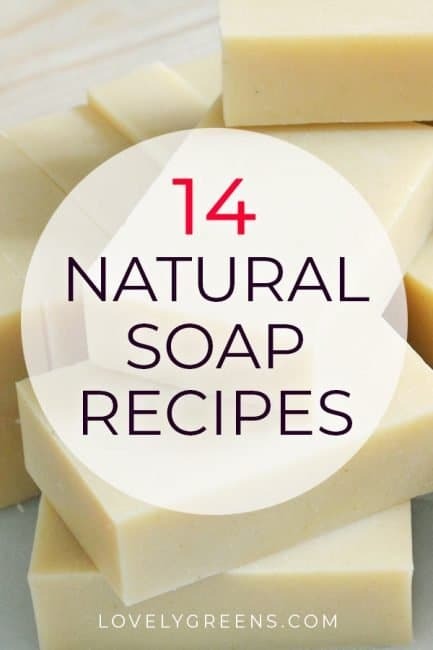 Below are fourteen different soap ideas that use all natural ingredients such as essential oils, dried herbs, and mineral colors. 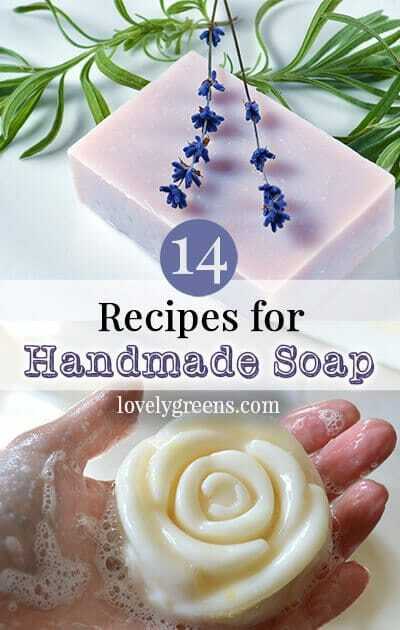 Some of them include instructions, but please refer to my free four-part soap making series if you’d like to understand the process better. 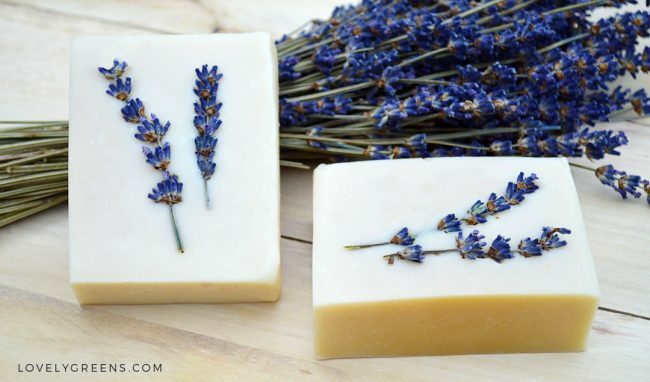 A gentle recipe for lavender soap with a dash of honey. The honey adds sweet fragrance and a light golden colour. 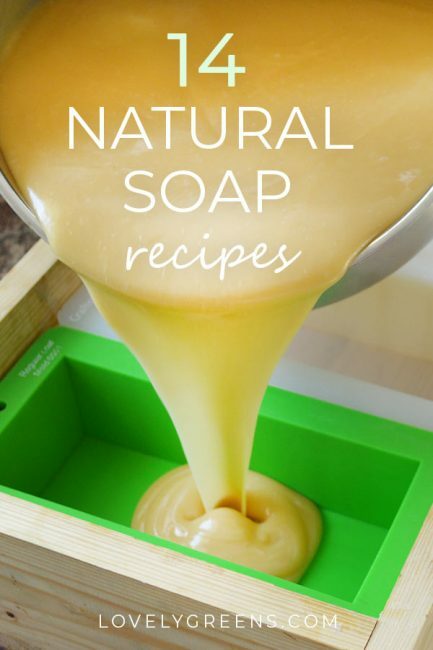 This is a very popular soap recipe and is also very gentle on the skin. 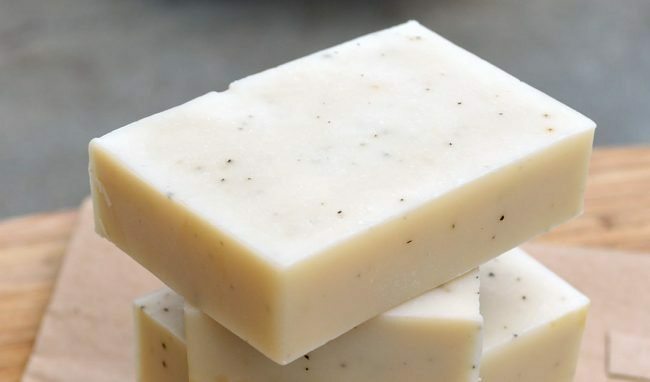 Sugars and milk tend to turn soap brown but using this recipe will give you creamy white bars. They’re lovely in their simplicity and goat milk contains nutrients and alpha hydroxy acids that are great for your skin. 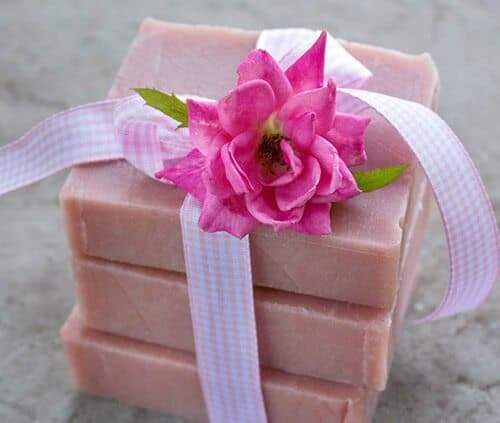 This lovely soap features real roses, creamy shea butter and nourishing rosehip seed oil. 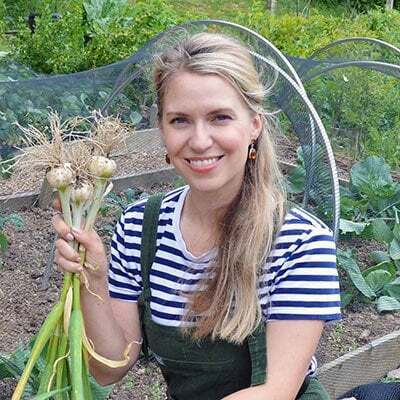 It’s a guest post on Lovely Greens from my soap making pal, Jan from the Nerdy Farm Wife. 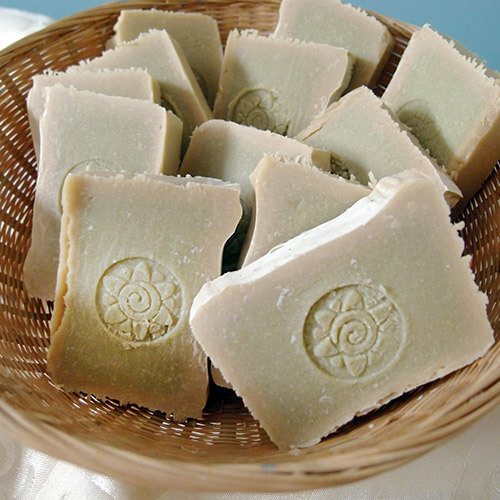 This lemongrass soap recipe comes with a video (watch above) showing the exact steps to make the recipe. It’s a simple palm-free base and tinted with a mineral powder and lemongrass essential oil. Bergamot is a citrusy and uplifting essential oil that’s used to flavor Earl Grey tea. 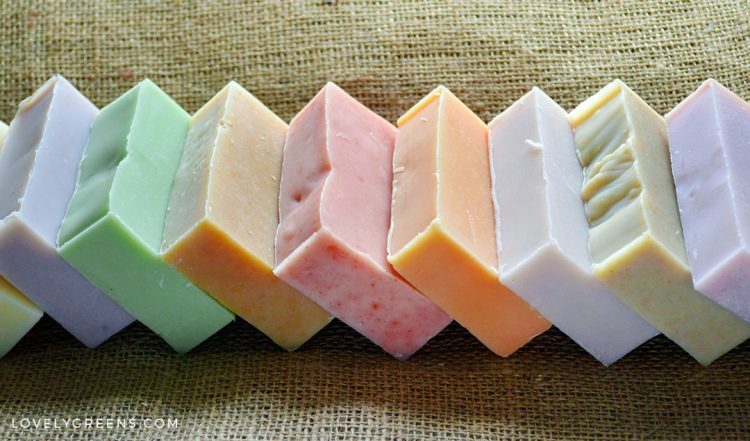 Use it with sprinkles of real tea to make these modern and zesty handmade soap bars. Kombucha is a fermented tea loaded with nutrients good for the body inside and out. 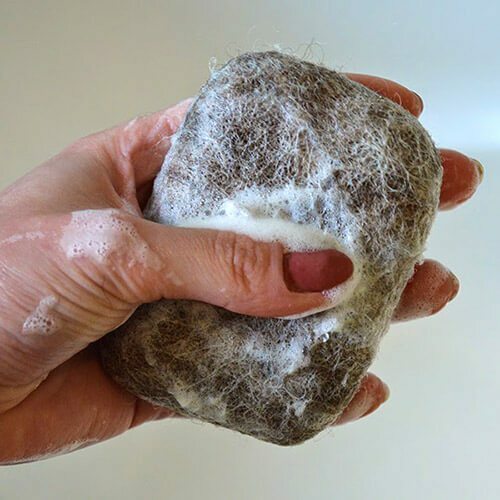 The felt you can work around a bar of soap can help make soap last longer. It works like a wash cloth too and once you lather it up you can gently rub it directly on your skin. Use coloured wool to create pretty patterns and effects and give them to friends as gifts. 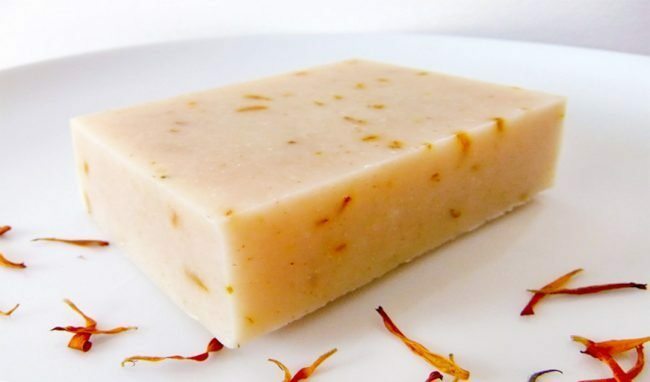 Make soap with golden calendula flower petals and sunny citronella essential oil. Calendula flowers are one of the only herbs that retain their vibrancy and colour in handmade soap. 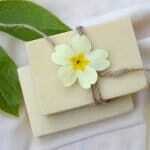 Using Tallow can be a sustainable and inexpensive way to make handmade soap. 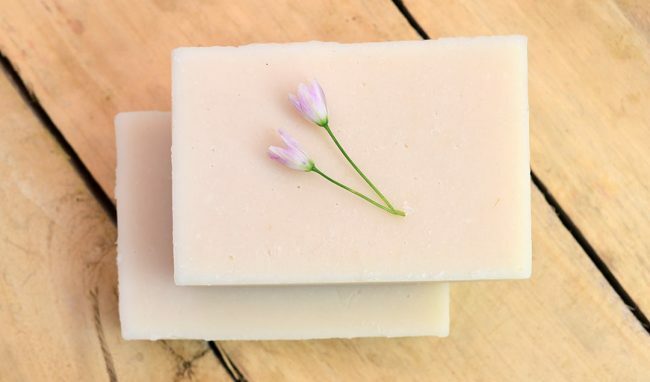 This piece from homesteading soap maker Liz Beavis fills you in on the facts on using tallow in soap and why you should consider it too. 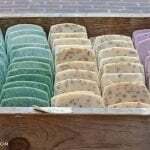 13.Homemade Rosemary Mint Shampoo Bars. You can use these bars to wash your hair, naturally. 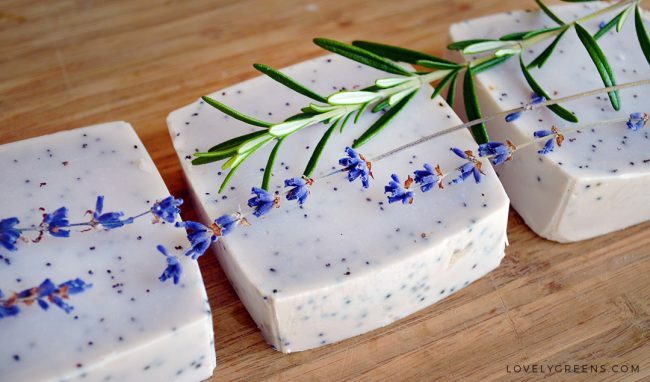 Gentle scrubby hand soap with lavender and rosemary essential oils, shea butter, and poppy seeds. 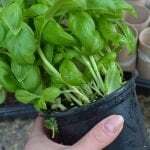 This piece also includes a clever tip on reusing milk cartons as inexpensive soap moulds. 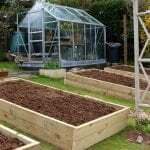 A good idea for winter my rosemary is still green even after 5 inches of snow on the ground and then melted and now its raining non stop…. lost over 8 hives due to a bear… life right i bet where you live no bears on the island? Just deer? Help! 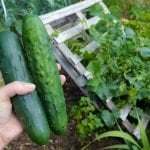 Liz I could have sworn it was one of your recipes that I made a month or so ago and it was hot process with tallow. I know it had tallow ,olive oil, coconut oil and cocoa butter because I have all the ingredients right here. I also remember measuring things in grams which would set yours apart from others on the web. However, I cannot for the life of me find it again. Would you please point me to it? It had all the above ingredients plus the other obvious ones like lye, et. Thank you and I hope you get this soon.